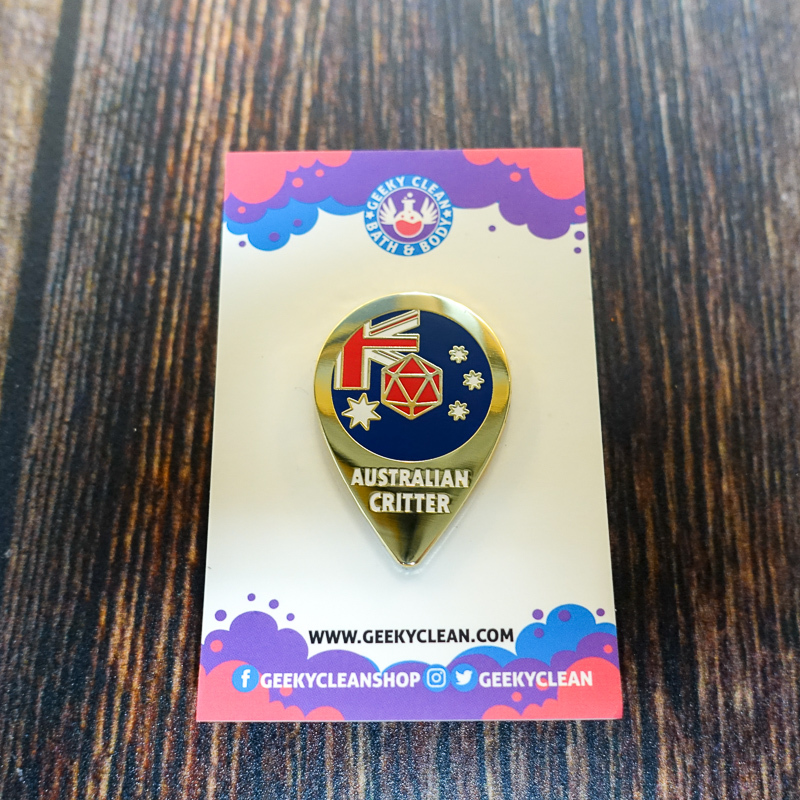 Home› GeekyClean News › NEW PINS-Show Your Critter Pride! NEW PINS-Show Your Critter Pride! NEW CRITTER PINS HAVE ARRIVED! You asked and asked and they are finally here! 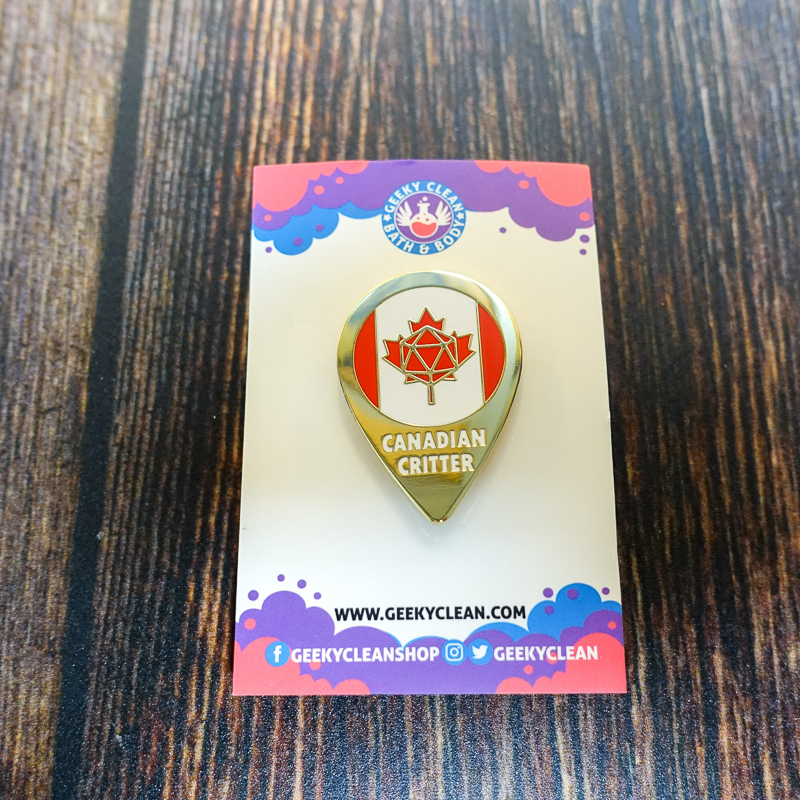 Critter pins for other countries, since the UK critter pin we've had hundreds of messages asking for other locations and the first bathes have arrived, take a look below to bask in all their shiny shiny glory. Brian W Foster can be see sporting his UK Critter Pin on Talks Machina, the Critical Role talk show <3. 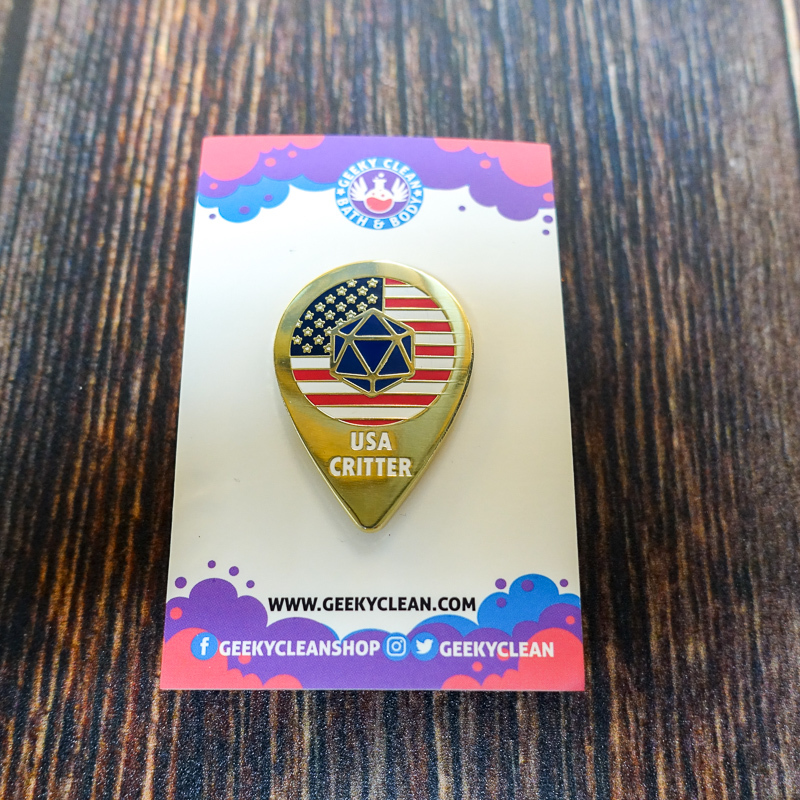 The first pin has to be the USA critter pin, for all the original critters the cast themselves! A short hop from the USA the Canada pin was next, the maple leaf came out really well on this design. The other side of the world was not left out, with the Australia pin! 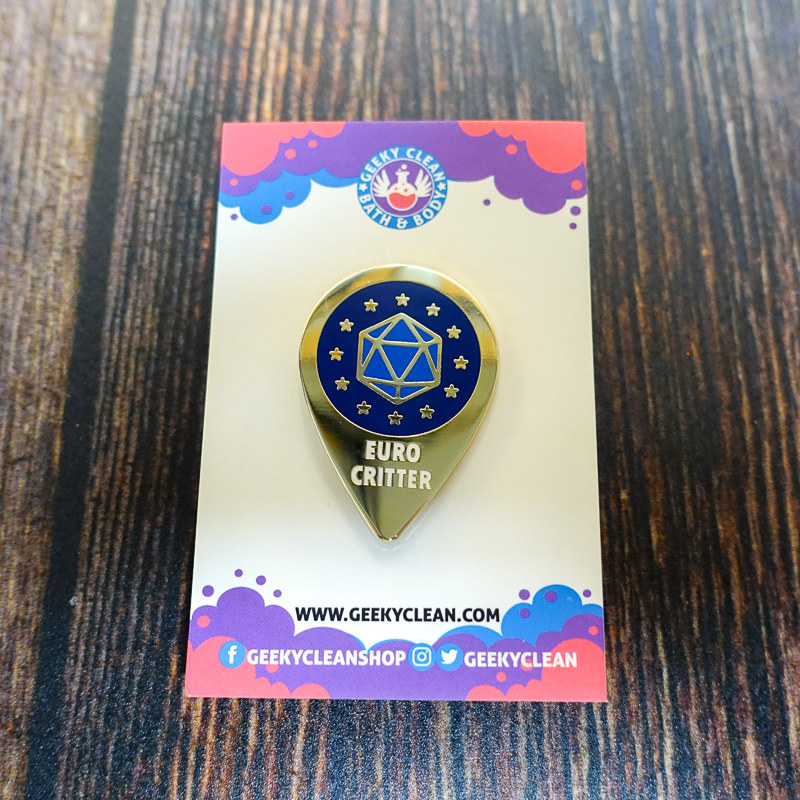 And finally the Euro critter pin, we may be leaving the EU but we still love the EU critters! The stars on this design are super shiny. 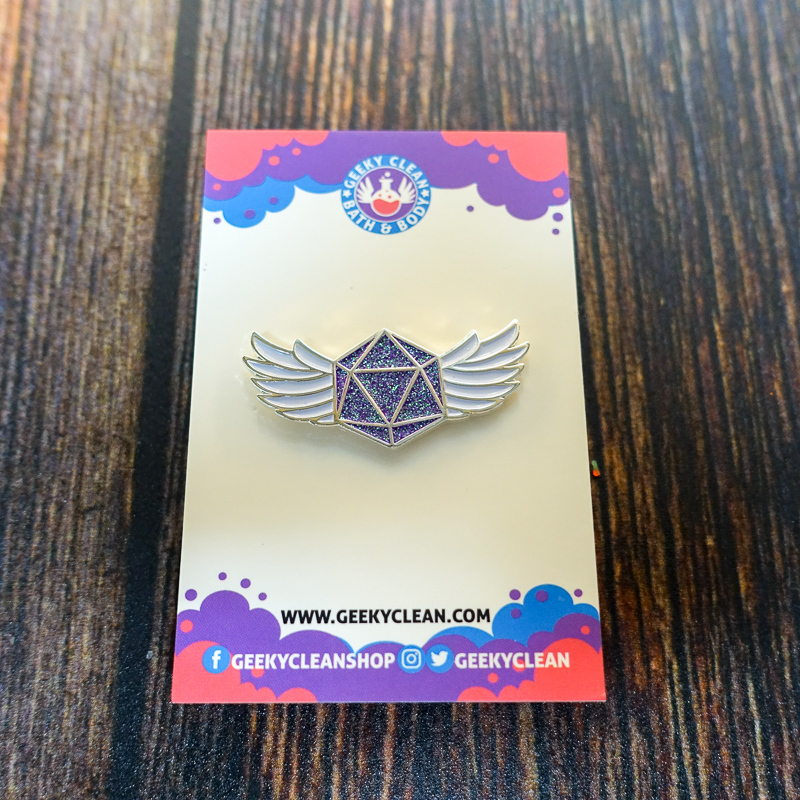 BONUS PIN-The Winged D20 got an upgrade now with even MORE GLITTER. 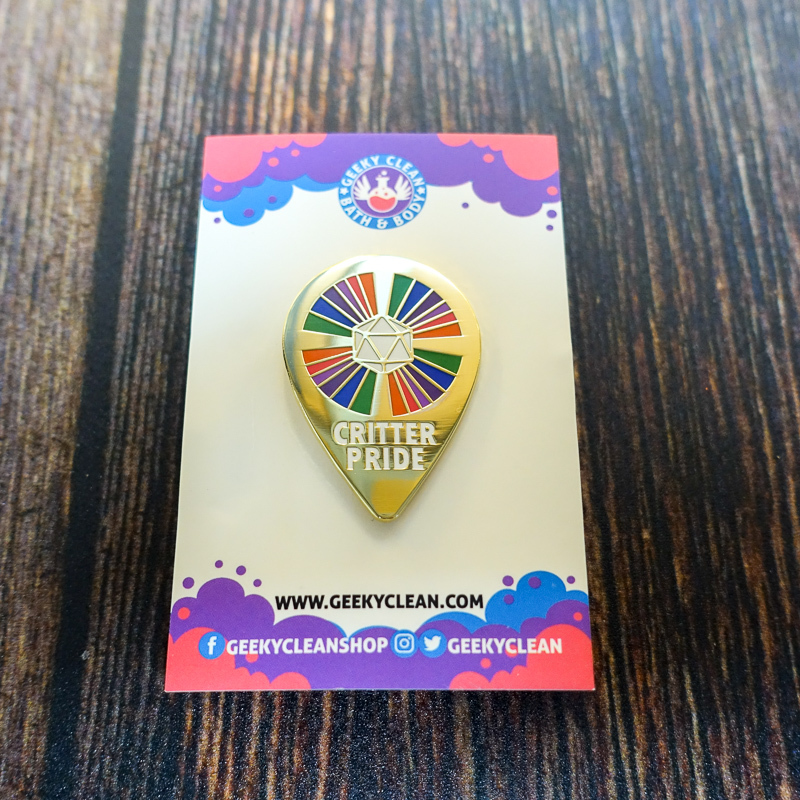 Finally the Critter Pride pin to support all of our LGBT+ friends, we love the colours of this one :).